There's only one problem with Apple's svelte little MacBook -- it only has one USB-C port, and if you need to plug it in, you're down to zero ports. 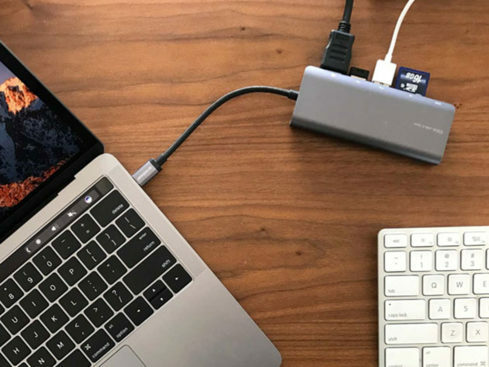 That's why mBeat created the Elite USB-C Multi-Function Dock -- you can power your MacBook, plug into a wired network, and connect those old USB peripherals as well. We have the Elite USB-C Multi-Function Dock for the incredible price of $69, 30% off of the usual price. What all does the Multi-Function Dock do? Get it today and turn that single USB-C port into a powerhouse!